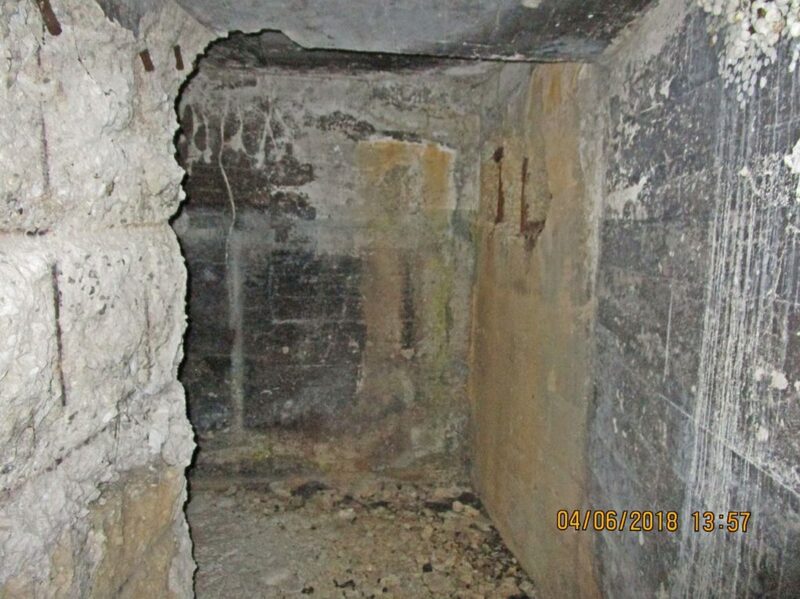 This tunnel is near the Infantry Point, is concrete lined, is not on any map and I say, it is a substantial size tunnel. It was most likely also a Magazine. We do not know the history of it. The storage chamber at the middle entrance has a no-smoking sign in Filipino, so it was used, most likely, by Philippine Scouts. I did not detect any recent sign of new scrapping. It is a unique one! Two of the openings could have also been used as a defense position against a sea attack. Za963. 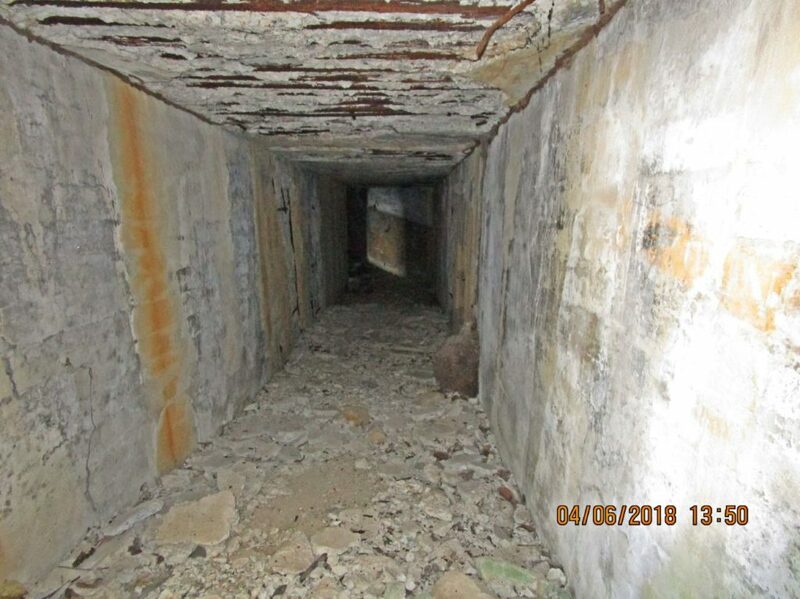 It is one of 8 images (in the album) of this unique tunnel and or magazine near the Infantry Point on Corregidor, the ex Fort Mills. 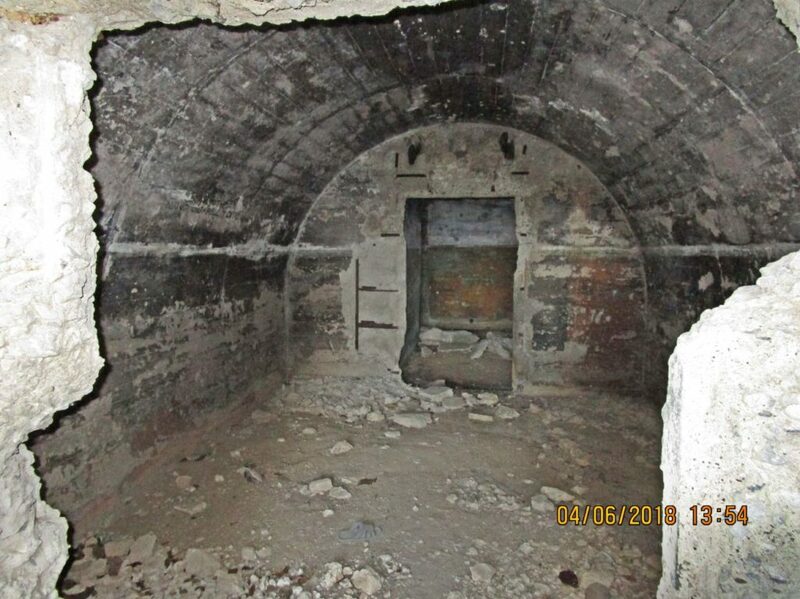 These 8 images show the west entrance and only easy accessible entrance to this tunnel now. Za964. 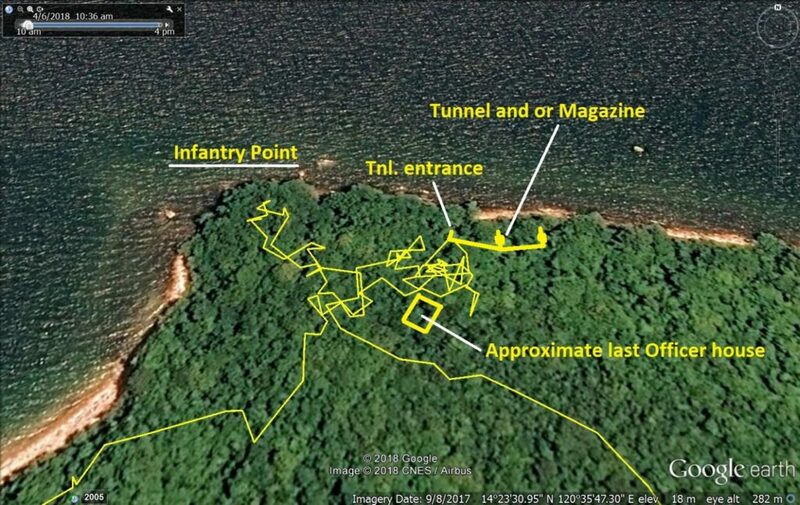 This is part of my GPS track looking for this tunnel near Infantry Point on Corregidor and this marked position is only approximate. Za965. 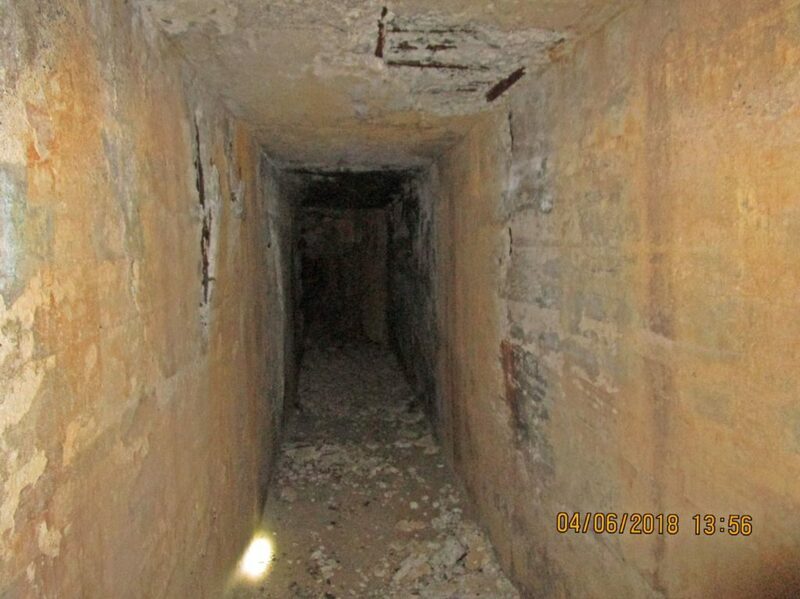 It is one of 8 images (in the album) of this unique tunnel and or magazine near the Infantry Point on Corregidor, the ex Fort Mills. After entering the tunnel we are looking towards the middle entrance; light is coming thru the entrance. Za966. 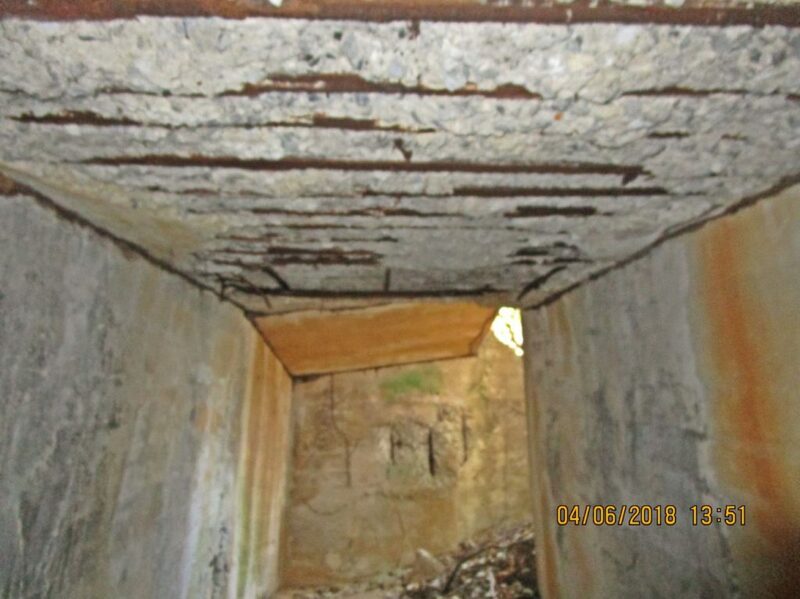 It is one of 8 images (in the album) of this unique tunnel and or magazine near the Infantry Point on Corregidor, the ex Fort Mills. We are looking back at the west entrance and only easy accessible entrance to this tunnel now. Za967. This is the middle entrance of this unique tunnel and or magazine near the Infantry Point on Corregidor, the ex Fort Mills. Za967. 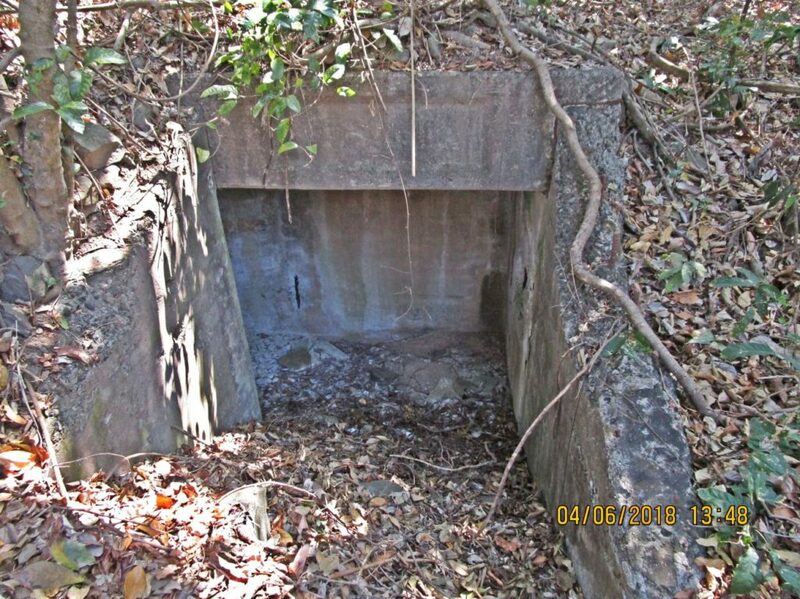 This is the middle entrance of this unique tunnel and or magazine near the Infantry Point on Corregidor, the ex Fort Mills. 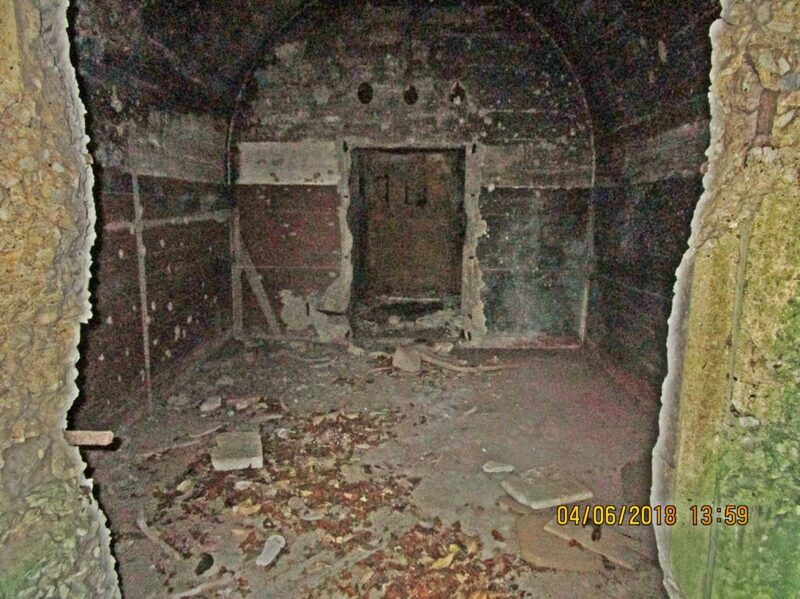 This is one of 10 images (in the album) of this unique tunnel and or magazine near the Infantry Point on Corregidor. Left is the passage way to the main entrance where we came from and straight ahead we see the storage room which has the no-smoking sign in Filipino. Za968. 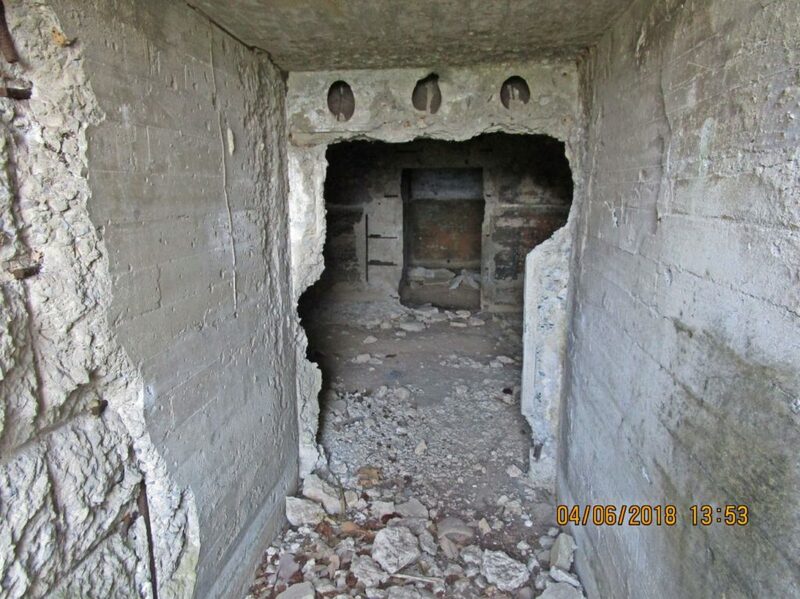 This is the middle entrance of this unique tunnel and or magazine near the Infantry Point on Corregidor, the ex Fort Mills. Za968. 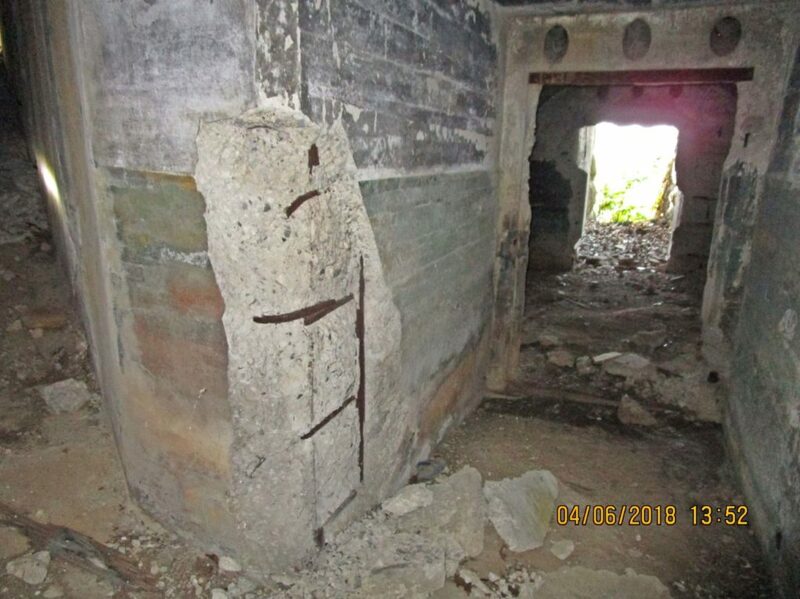 This is the middle entrance of this unique tunnel and or magazine near the Infantry Point on Corregidor, the ex Fort Mills. This is one of 10 images (in the album) of this unique tunnel and or magazine near the Infantry Point on Corregidor. We are looking back into the tunnel from the middle entrance thru the storage room which has the no-smoking sign in Filipino. Za969. This is the middle entrance of this unique tunnel and or magazine near the Infantry Point on Corregidor, the ex Fort Mills. We are looking back into the tunnel thru the storage room where the Filipino no-smoking sign is. Za970. 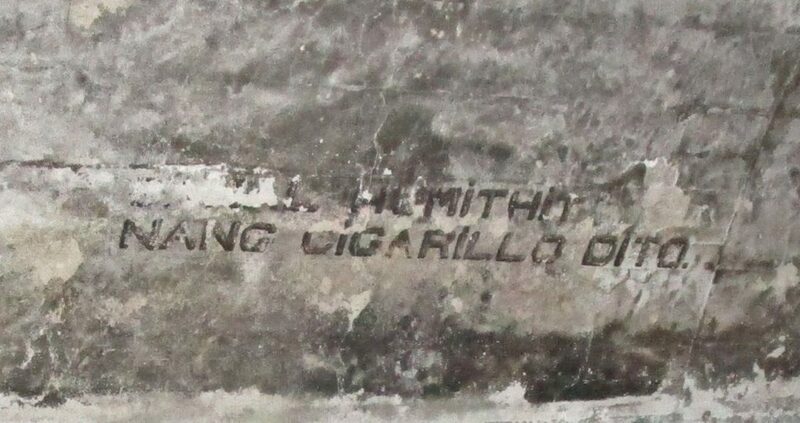 This is a no-smoking sign in Filipino in the storage room of the middle entrance of this unique tunnel and or magazine near the Infantry Point on Corregidor, the ex Fort Mills. Za971. 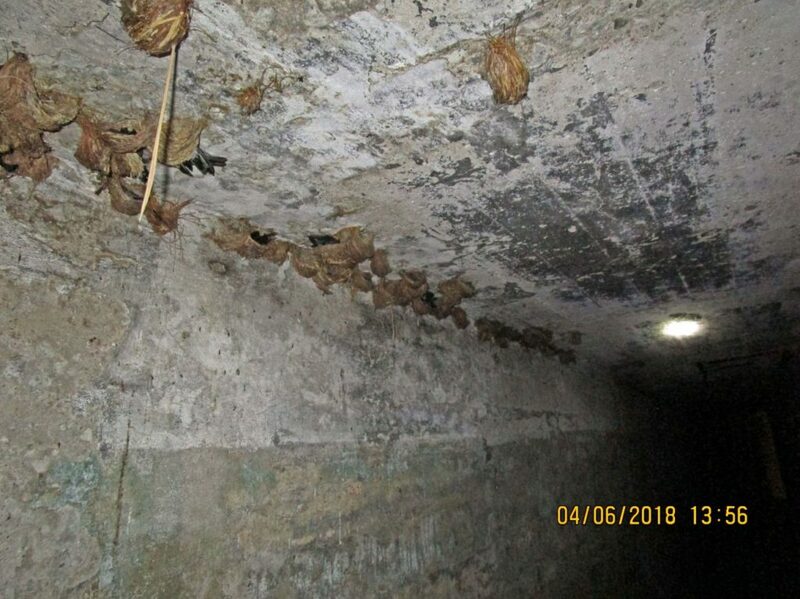 These are swallow nests in the tunnel and or magazine near the Infantry Point on Corregidor, the ex Fort Mills. We are looking towards the east entrance. Za972. We are looking towards the east entrance of the tunnel and or magazine near the Infantry Point on Corregidor, the ex Fort Mills. Za973. We are looking towards the east entrance of the tunnel and or magazine near the Infantry Point on Corregidor, the ex Fort Mills. Za974. This is the east entrance of this unique tunnel and or magazine near the Infantry Point on Corregidor, the ex Fort Mills. Za975. 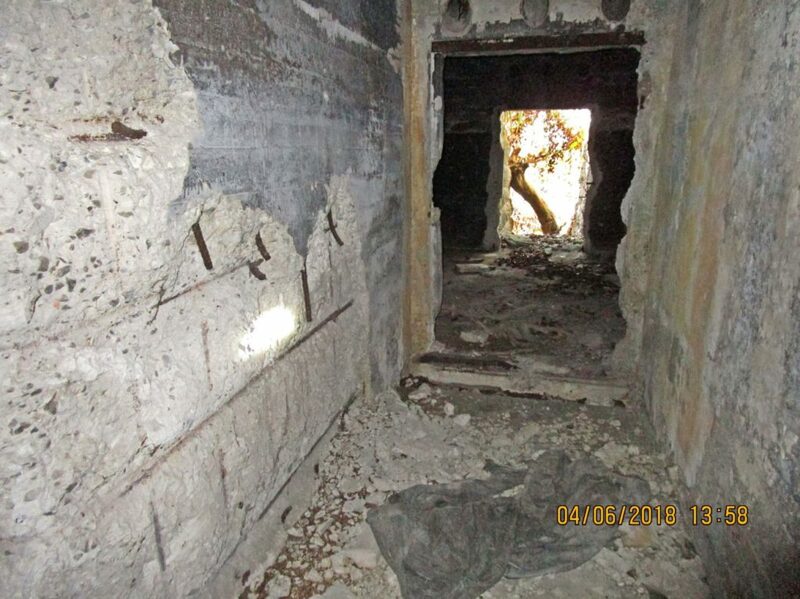 We are looking back into the tunnel from the east entrance thru the storage room in the tunnel and or magazine near the Infantry Point on Corregidor, the ex Fort Mills.